Craving garlic shrimp, but don't care for the drive to North Shore? Then, you have to try Sam's Kitchen! 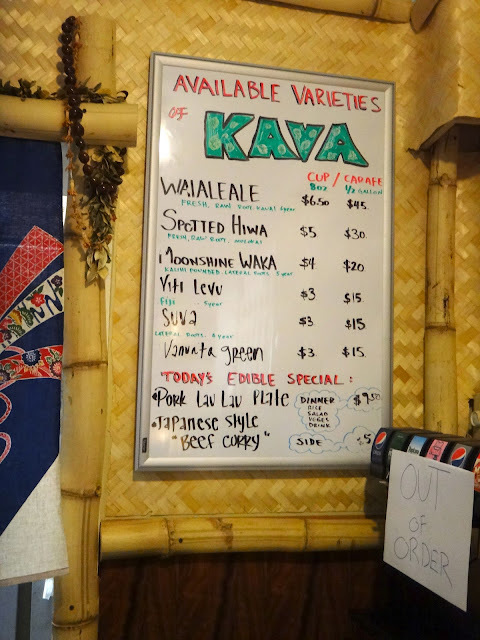 Located right in the heart of Kapahulu by Waiola's (you park at Waiola's too), you may have easily overlooked this small, little gem of a place. It's got the cute, old Hawaiian décor- lots of wood and floral print, plus even a live band on some nights! Very low-key and casual, I definitely felt strange stepping in there with heels. What's good? So far, "everything," I've heard, however I have only tried their shrimp. Pick from 4 flavors and you may love them all- Garlic, Spicy Garlic, Pesto and a flavor you can only find there- Matsuri, which is essentially a salty mix of Japanese spices, salts and furikake. My favorites are their Garlic Shrimp and the Matsuri. Only gripe? Instead of the corn on the cob and salad, pile on more rice and shrimp, please!!! 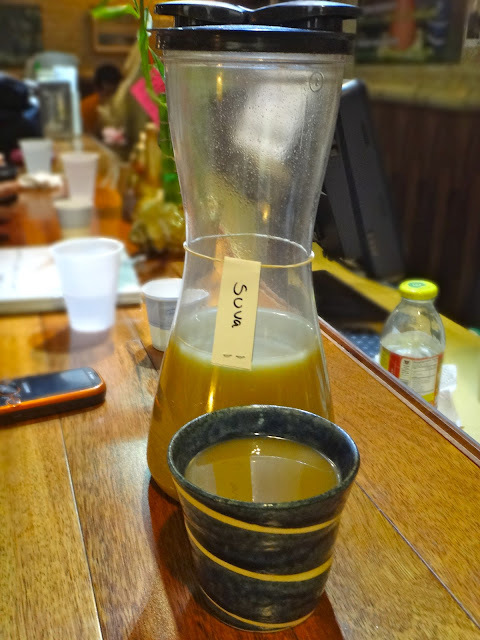 They also are known for their Kava- about 5-6 different kinds, though, my friends Jason and Jared prefer their Suva. Not my thing, but I gave it a sip. I didn't drink enough to feel the effects- usually a numb, calming feeling, but to get there, you're going to have to drink that "earthy-tasting" water. Bottoms up! Can't wait to go there to try more things on their menu...and maybe even give Kava another try. We'll see! Only thing- parking is tricky. Park on the street or if you're lucky, you can score one of Waiola's limited spaces.